This entry was posted in Brewing, Cider, Drink, How-to, Orchard, Recipe, Seasons, Slow Food, Tested and tagged apples, brewing, cider, drink, food, homebrew, how-to, old-school, recipe, seasonal, traditions by Kate Watson. Bookmark the permalink. Your hydrometer link 404s; it’s missing a trailing “l”, I think. Thank you for your comment – and for wading your way through what I admit is a real epic monster of a blog post! Good luck with your first cider-making efforts, and please come back to let us know how it went (and what you think of the end product!)? 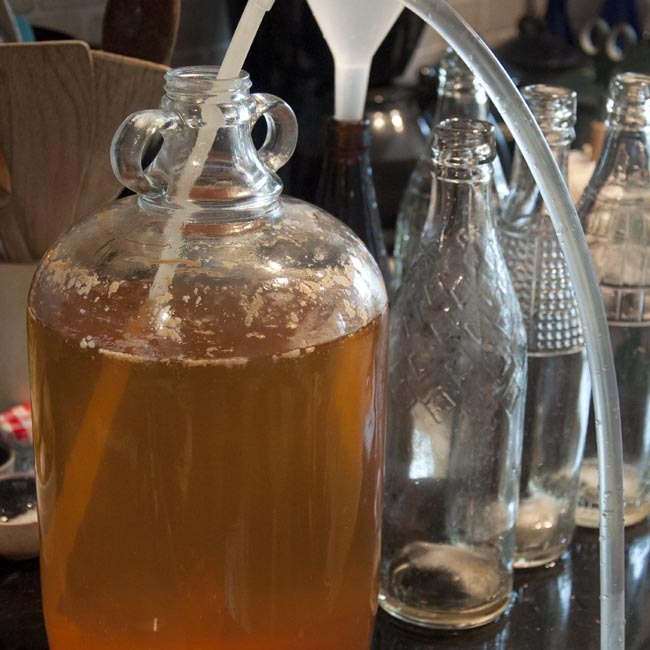 This is a great blog…I have pretty much followed it to the word, apart from the fact that I have pressed my own apples…I must admit, the initial fermentation in the demijohn took literally 4 days, and I topped up with shop bought apple juice to add a little complexity. I still have dozens of kg’s of apples coming, so I am looking forward to experimenting a little more and using this handy little guide as my base! Thanks for taking the time to put it all down in pixels. You’re welcome Aaron – so glad it was of use to you (thank you for wading through all of it!) and please do come back and let us know how your cider turned out! I got myself 15L of pasteurised juice from a local orchard. My kit consists of 2 25L fermentation buckets (both fitted with an airlock), racking cane, hydrometer, yeast nutrients etc but no glassware. My first plan was to ferment the 15L in one bucket, let it sit for a month (or SG=1.000) and then rack it off into the second bucket to clear, then bottle it with some priming sugar. I did some research which leads me to believe that the second stage as described will probably spoil the batch because of the surface area that will be in contact with the air (no protective CO₂ blanket) leading to oxidation. My revised plan is to ferment the 15L, leave it in the bucket on the lees for 6 to 8 weeks to clear and then just carefully bottle it. Is oxidation really that much of a problem? Are there any ways other than adding chemicals to prevent oxidation? Are there any problems with bottling right after the primary stage? Thank you for stopping by and glad you found the post helpful in your cider-making plans. I’ve started freshly pressed apple juice in a bucket before, but then racked to demi-johns under lock very quickly (within a week or two, while fermentation was still ongoing). As long as you do this quickly and then preserve the lock, it will keep stable in the secondary vessel for over a year, but yes, you’re right to be worried about oxygen getting in. 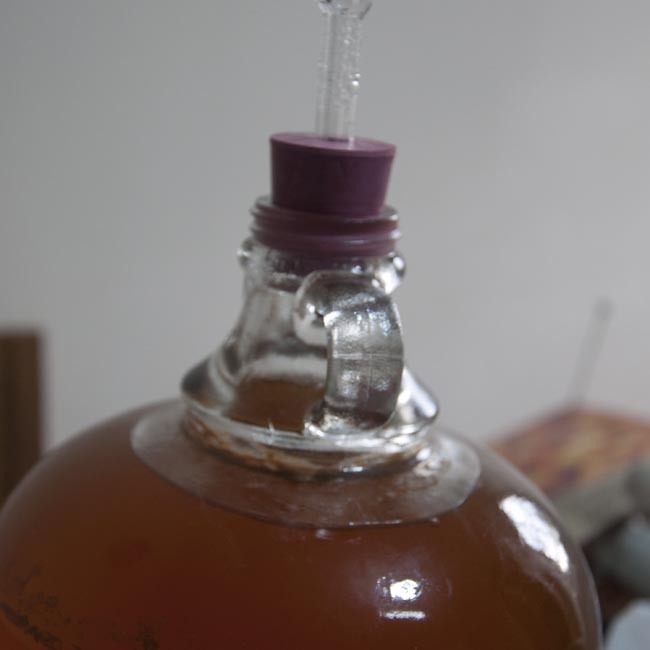 If I’m using filtered apple juice so that the sediment is just yeast rather than also containing apple solids, then I just start directly into demijohns, allow to ferment out under lock, and then bottle directly from the primary fermenter (carefully, using a racking cane). 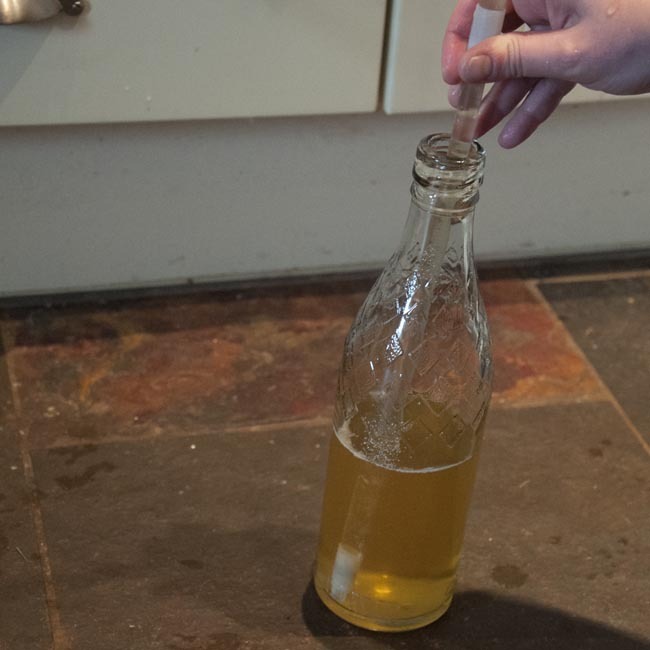 Adding a bit of sugar at bottling time to allow a small in-bottle secondary fermentation both adds sparkle to the cider and protects it to a degree against oxidation from air exposure during bottling. Hope this makes sense and helps you out a little – I’d love to hear how you get on in due course! Thank you for your kind comments scotty! Glad the post & technique have been of use to you! Kind regards, Kate. Really helpful thank you! Really help clear up some confusion I’ve had as I’ve only just started brewing. I was wondering if you knew whether or not putting berries/other fruit in the demijohn during fermentation would help flavour the cider? I have to admit I’ve never tried this (I’m not a fan of flavoured ciders!). I can’t see many reasons not to try – though I have no idea how well it would work – the only concern would be to avoid introducing potentially unhelpful ‘hitchhikers’ on the fruit – I would be tempted to scald anything I was going to use with boiling water after washing it carefully – it might even be worth considering a bath in some campden first? Or just chance it I guess – we make no effort to sterilise the apples in freshly pressed cider, after all! Hi, Steph! I’ll see what I can do! Yes – the sugar in the mix is what the yeasts ferment into alcohol. BUT – apple juice contains sugars, that’s why it tastes sweet! If you look at the nutritional information on the carton, you’ll be able to work out about how much is in there. By my rough calculations, for the juices I’ve used, have suggested a final alcohol %age of around 4%, which I’m happy with. 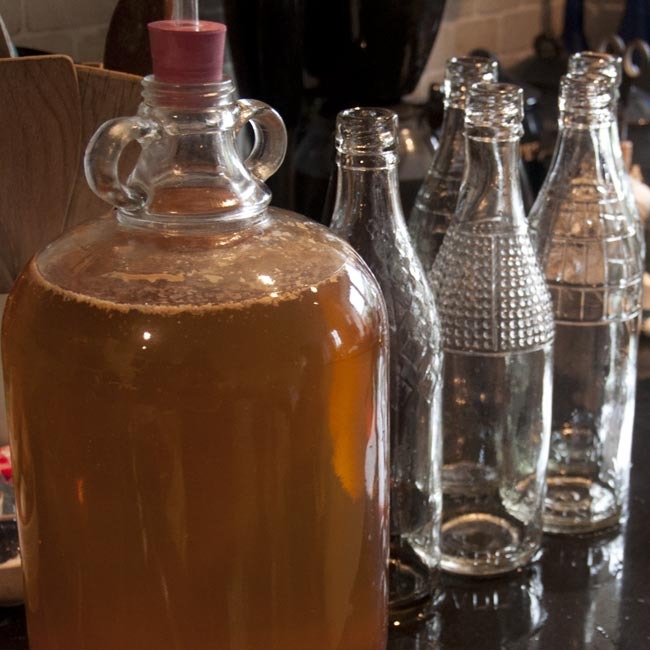 The natural sugars in the juice are all fermented out in the demijohn, which is why I add an extra little bit at bottling time – if I didn’t, the cider would only be very lightly sparkling, as fermentation also gives out CO2. 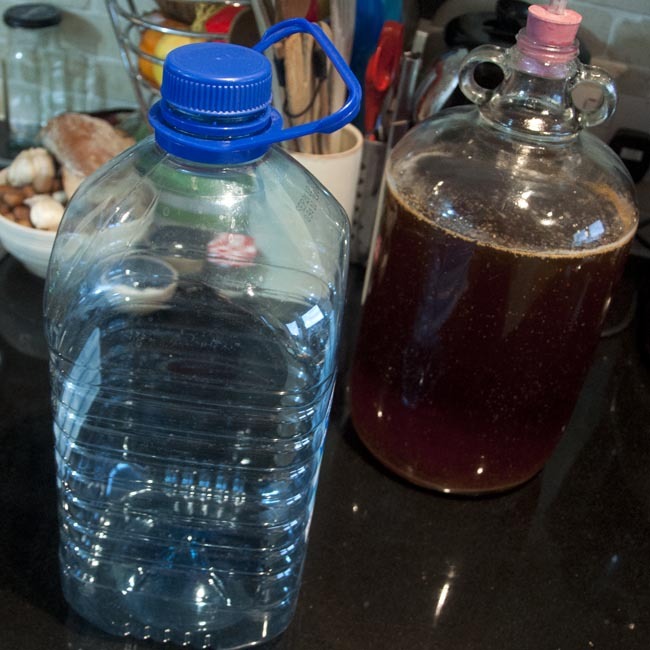 In a sealed container, that goes into solution in the liquid, but under airlock in a demijohn it can escape, so it doesn’t cause fizz. This priming sugar adds less than 0.5% additional alcohol and don’t add too much or you’ll over-pressurise your bottles and they might explode! I have seen real juice recipes that add extra sugar to increase the finished alcohol %age of the cider. I don’t like to do this for two reasons – firstly, and most importantly, I consider ~4% is perfect for sipping on a hot summer’s afternoon. This is of course a matter of personal judgement and you might disagree with me! The second reason is that any sugar you add will be fermented to alcohol. The trouble is that this actually dilutes the apple flavour in the final cider, since you end up with less apple juice in each mouthful (because some is now the extra volume from the sugar). Also, you’ll get completely wrecked on it and probably embarrass yourself, and have a filthy hangover the next day. The choice, as they say, is yours! Hope this answers your questions – do let me know if not and I’ll have another try! 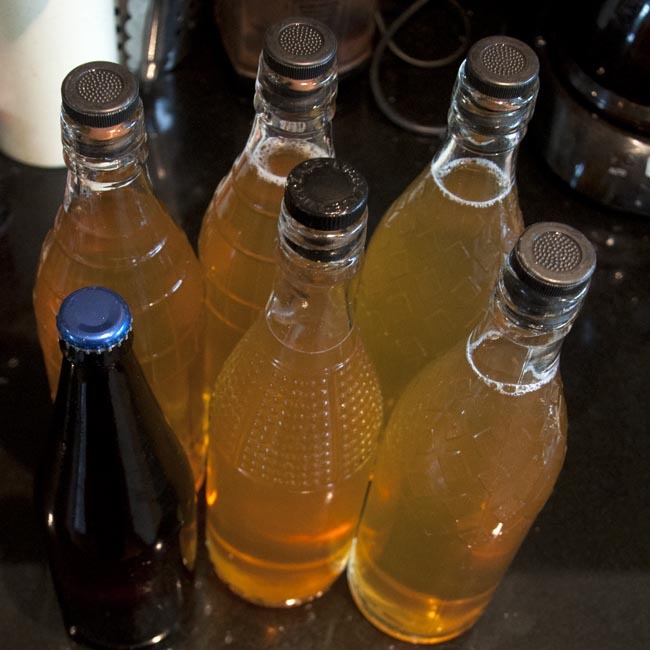 Thanks for stopping by the blog, and good luck with your home-brew cider endeavours. It’s worth the trouble, I promise! 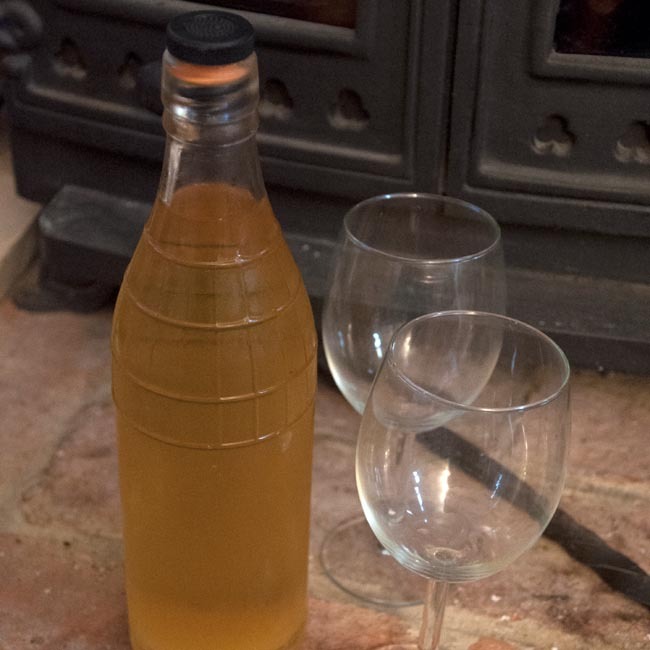 Hi, I really enjoyed reading your blog post and it’s inspired to me to give Cider making a go! I was wondering what changes you’d suggest to this recipe if using REAL apple juice (not from a carton – from an apple). Would sugar need to be added to the recipe? If yes, then how much? Also, would there be a specific variety of apple you’d recommend to use? I live nearby a farm which have a ‘pick your own’ apple orchard and I have a great Tefal juicer sp I’d really like to do it this way. I can get roughly 1ltr of juice from 2.5kg of apples, so I’d need 10kg to get the 4ltrs required. Yes, absolutely use real apples. I wouldn’t add any extra sugar – remember that once the cider is fermented out all do that sugar will be alcohol, so effectively you’re watering down the flavour of the drink while making it more potent. Choose an apple with a flavour you love, or better still, a mix of apples. And don’t worry if the juice you’ve made turns brown, that will reverse during the brewing process. I have a couple of blog posts on here about traditional cider making from apples – you should find them if you type ‘cider’ into the search box at the top of the blog. Hi, thanks for the reply. I’ve just started off the process, took me about 3hrs to juice all the apples! The liquid is very cloudy but it has been filtered three times with a sieve and muslin cloth. Also, rather than adding the tea I used Wine Tannin which I think will do the same job (hope this won’t spoil it?). A couple of stupid questions: do I leave the cap on or off the air lock? It states that we should ferment until it stops, but roughly how long usually does it does this usually take? 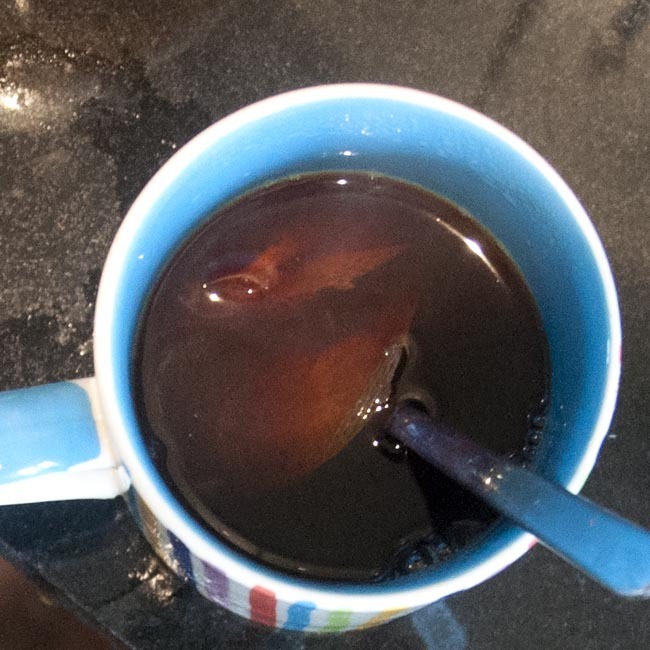 Tannin should be fine – it’s a specialist ingredient which I was trying to avoid with my blog directions, but will probably be better than the tea, as long as you haven’t over-done it! 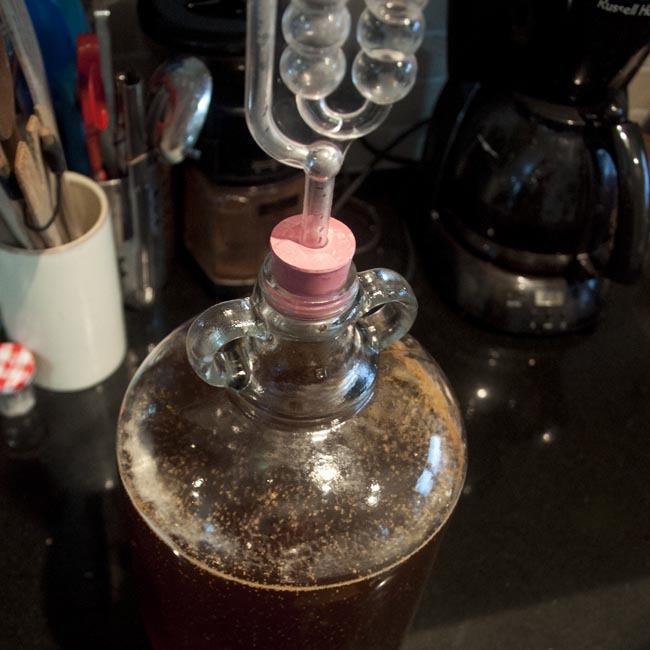 The cloudiness may clear when the yeast drops out, then again it may not. I’ve had real cider batches go both ways, I don’t know why some do or some don’t. It won’t affect the flavour, and cloudy ‘scrumpy’ cider is very traditional! Use the airlock cap. It doesn’t form a seal and should hopefully stop insects getting in and drowning themselves in it. 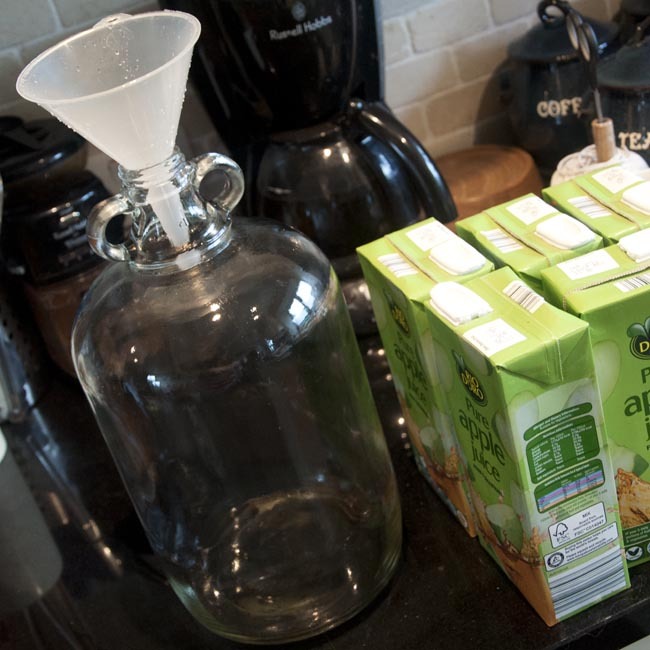 It’s very difficult to say how long fermentation will take – processed apple juice is usually faster than fresh-pressed, and then it will depend on how much sugar is present in your juice, the characteristics of your yeast, temperature and so on… As a rule of thumb somewhere between one and three weeks, but trust the airlock! I think this may well be true if you’ve left your lees settled for weeks and months, however I’ve never had any kind of problem with failed bottle conditioning, and I think there are two main reasons for that. First, the time – it’s only a matter of weeks, not months or years. Yeasts are resilient buggers, and can go dormant for some time (particularly if the alcohol concentration is below the kinds of levels that will kill them, which should be the case here) – otherwise dried yeast wouldn’t work. Secondly, while it might look clear, there will still be some yeast in suspension, and however careful you are, you’re going to stir some up while you’re syphoning. And because there’s some live yeast in the bottles, you should get good conditioning and nice sparkling cider, but there will be a little yeast deposit on the bottom of the bottle. Not the end of the world and if you pour carefully you should barely disturb it. Thank you for stopping by the blog, and good luck! Was really pleased to find this site…I’m a Brit living in Singapore and wanted to give brewing cider a go. I followed your directions to brew from supermarket apple juice. I set up 2 5L demijohns with airlocks and used a liquid cider yeast from a local beer shop. After starting to bubble, I was seeing a very small head appear, barely as much as 1/2 cm. I could see minute bubbles fizzing to the surface, but saw no lumps of yeast sediment forming and now after 2 weeks, the whole thing seems to be flat, clear, with no head or visible fermentation taking place. Do you think this batch is a write off, or maybe it could be revived with some new yeast? Being in a hot climate, I wonder if maybe it is too hot for the yeast and I need to try and keep the demijohns a little cooler? Any advise to can offer to a novice would be greatly appreciated ! First and most important advice is this – Don’t give up on this batch! Prime & bottle it, wait a few weeks and see how it goes, it might be fine! From what you’re describing it sounds like some fermentation did occur, temperature may be an issue, but it’s also worth checking that your apple juice really is pure (just pasteurised) rather than containing any preservatives as these can really interfere with fermentation – it’s their job I guess! Good luck and let me know how things go in due course! Many thanks for the advice Kate – much appreciated. All the apple juice used stated “no preservatives”, so hopefully that’s not the problem. I’ve since seen advise on keeping the demijohns cool out here so will put that into practice next time. I’ll continue with priming and bottling as suggested and will let you know the results for sure. 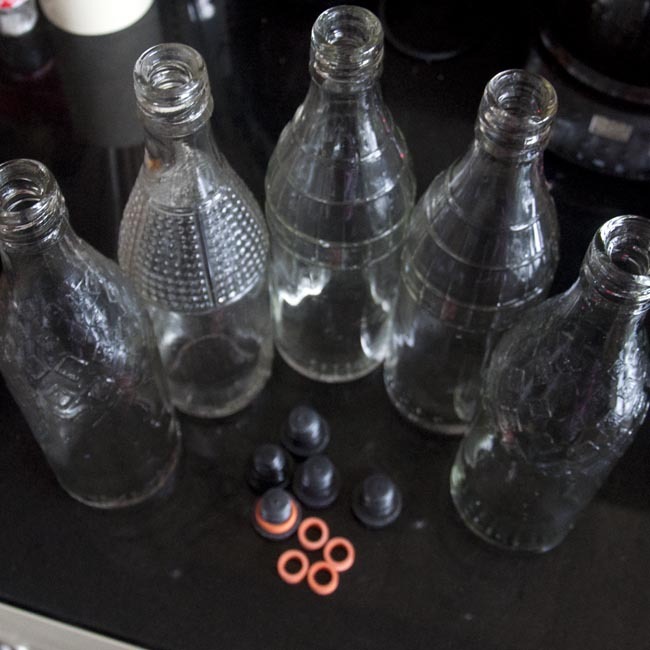 Hi Kate….quick update…..when I topped up the demijohns it all kicked off again and has been fizzing away happily again. Needless to say I’m over the moon and can’t wait for bottling. Will let you know the final results. Howdy, thanks for this post. I am trying my hand at my first batch. I used apples off my tree and juiced about 30L, which I have in a Speidel Plastic Fermenter. The stopper has stopped bubbling and the weight measurement is around 1.000/.999 so I think it is ready to bottle, however it has a lot of debris floating in it, which I am assuming is yeast. There is definitely sediment on the bottom, but this is little bits floating freely in the whole jug. I used Champagne yeast after killing the wild yeast with tablets. Should I let it rest for a few more weeks? Hi, it does sound like your juice has fermented out. I’m not familiar with that brand of fermenter but assuming your cider is under airlock, you can leave it for as long as you like (within reason!). 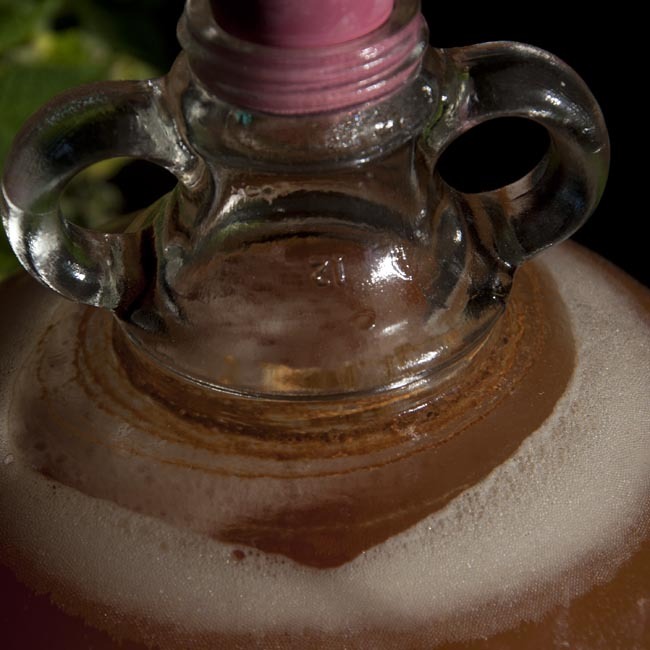 A week or so in a cool place should allow a lot of that suspended material to drop out giving you a nice clean cider – and any left behind will probably drop down into the bottle sediment with the secondary fermentation debris, anyway. Good luck and enjoy your cider! Hi Mark and thanks for stopping by! You’re quite right – if you leave out the priming sugar you won’t get the sparkle in the bottle, though it may not be completely flat if you don’t de-gas the cider before bottling (wine-making blogs will no doubt show you how) as there’s likely to be a bit of dissolved CO2 left over from the initial fermentation giving a little tingle of sparkle on the tongue! Good luck with your cider making and do pop back and let us know how it went! Can I use carbonation drops instead of adding sugar to prime? I think these are just sugar, so yes, go right ahead! Thanks for this I’ve just made my first batch so looking forward to seeing how it turns out. I’ve made 2 demijohns of cider, so fingers crossed. Was going to ask if you have ever added other things to this to boost the flavour, like frozen fruits, or cinnamon sticks? I”m considering this when it’s time to top up the demijohns? Hi Matt! Good luck with your ciders. 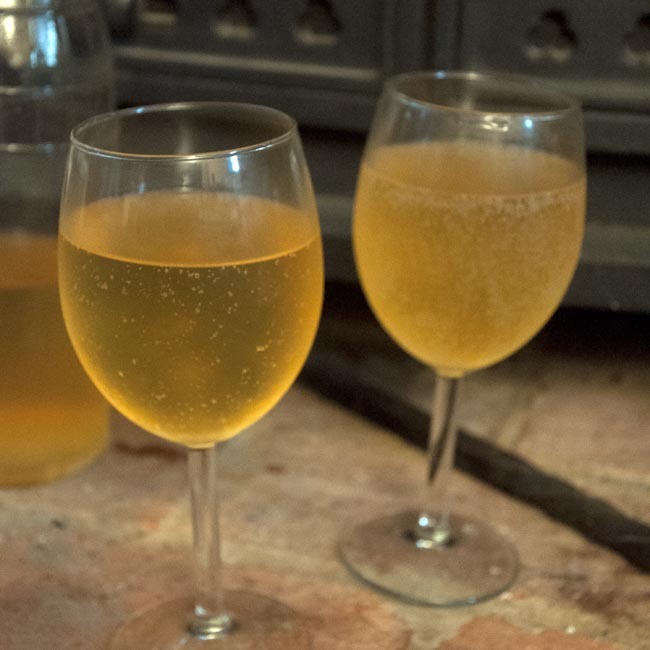 You can mix it up and add flavours in all sorts of ways but I would suggest that you keep at least one of your demijohns ‘natural’ first time, if only to get a sense of what the simple cider tastes like to help you make adjustments better in the future. Be careful with cinnamon though, it can be very over-powering as anyone who’s made a bad batch of mulled wine or cider will tell you! Very helpful and written so smoothly. Mine seems to be on track and I’ve gained some future gems. Thankyou very much. I set a batch of Cider going following your recipe but adding 200g of sugar to the 4 litres of shop bought pasteurised apple juice. As I was to be leaving my demijon in the garage I purchased a immersion heating unit from a brew shop on line, which I set to 20 degrees. The initial fermentation took approximately two days, give or take a few hours, at quite a vigorous pace (two bubbles a second at its peak). Then I topped up the demijon with ½ a litre of the same juice as fermentation seemed to have stopped, this started off the fermentation process again, but at a much slower rate, after a day or so everything had stopped again. I took a hydrometer reading and the level had dropped to almost one. I have removed the heater and am letting the brew settle for a few weeks prior to bottling. I am surprised the fermentation period has been so short, does this seem possible to you? 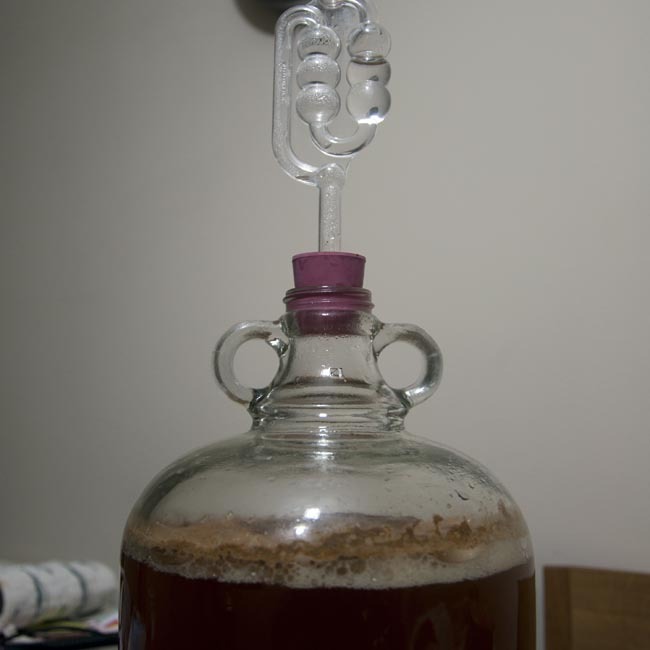 It sounds like your fermentation has completed (assuming your hydrometer is accurate, that is! ), congratulations! Go ahead and bottle your cider. I think the reasons it’s gone so fast are to do with both the added sugar (which will have given the yeast a real ‘kick’ to get going) and the sustained high temperature – I do my brewing in my kitchen, which is rarely above 18 degrees and falls well below this at night, certainly down to between 13 and 14 and lower in cold weather. Because fermentation is a biological process those few degrees will make a real difference. Just a note of warning though – while 20 degrees should be fine, yeasts metabolise sugars differently at different temperatures, producing a different mix of fermentation products; fast, high temperature ferments can sometimes produce ‘off’ flavours in the finished brew, so tempting as it is to push the brew along with a bit of heat it may not always produce the very best results at the end of the day. Congratulations on your first brew and please pop back and let us know what you think of it come tasting time. Hi there. I’m just starting my first cider home brew using pressed juice from our own apples and this is by far the most helpful advice I’ve found anywhere in print or online – thank you! I’m now following your process but have a couple of rookie questions. 1. I’m using fermentation buckets with taps at the bottom. What are these for?! I assumed for racking off the good cider, but in your comments you talk about yeast forming at the bottom so this would suggest the taps won’t work for this. 2. Also, I have a large quantity of recycled wine and beer bottles. Would plastic or cork stoppers work or should I look at somehow using metal beer bottle tops if possible? Hello Kate, I have followed your recipe and I am now at the stage of adding extra juice for the final fermentation. My OG was 1046 which will give me something like 7.5% Alc which will be rather intoxicating :@). I have made 9 Litres in two dj’s with my wine-making immersion heaters inserted into them, they fermented really quickly. Will keep you all updated !!!! Cheers! This is awesome. I am concerned though that i am getting 2 bubbles a second after only 24 hours. Is this a problem? Temperature 20 deg C. Looks perfect but seems to be happening too quickly compares to your description. Many thanks for any thoughts you may have on this. Hi will a gallon sized demijohn be big enough? Ideal, yes! Start with 4l so the froth doesn’t overflow, then top up later. What sort of strength cider will this produce please? Hi, the answer to this question depends entirely on how much sugar is in your apple juice, so there’s no way for me to give you an answer. You may be able to find out how much sugar is in your apple juice from the nutrition information, and there are online calculators to help you estimate sugar solution strength to alcohol by volume after fermentation. Hope this helps!